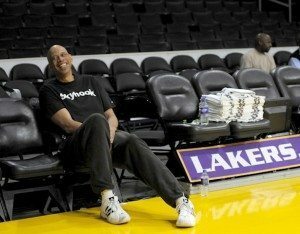 I recently had the honor of interviewing Kareem Abdul-Jabbar, New York Times Best-Selling author, Global Cultural Ambassador, NBA’s All-Time Leading Scorer and true Renaissance man about his life, passion for kids, inventors and unsung heroes. JB: 43% of Black and Hispanic youth are dropping out of high school across the country. Actions speak louder than words, what do you think their actions are telling us? KAJ: High school dropouts are forfeiting their opportunity to pursue the American Dream. When you don’t have the fundamental skills that enable you to be trained for a meaningful job, you are placing yourself at the bottom of the country’s workforce where, statistically, you will earn significantly less money, have less opportunity for job advancement, suffer more medical problems, and have a greater chance to become a victim of a crime. When you drop out, you’re basically giving up on your future happiness. On March 4, 2012, What Color is My World? 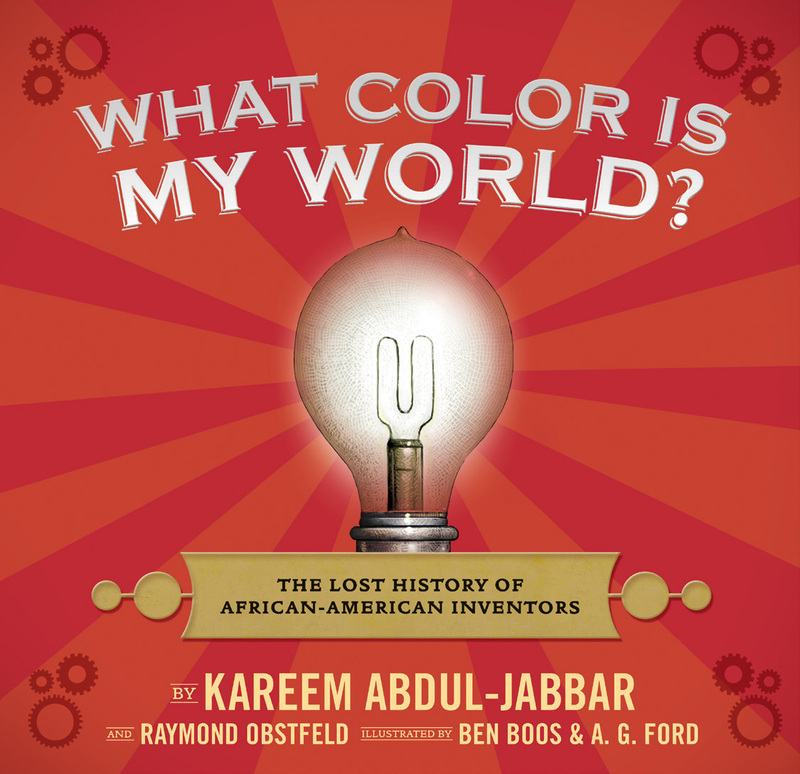 The Lost History of African-American Inventors reaches #3 on the New York Times Children’s Best Seller List. JB: You’ve been in the spotlight for over 40 years. 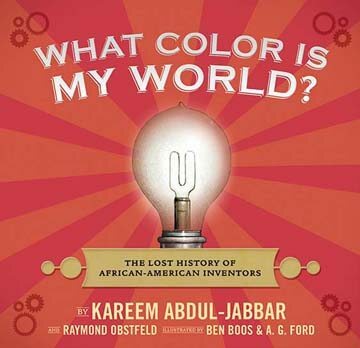 Your new book for children, What Color is My World, spotlights lesser-known inventors. How did you awaken this passion for telling the stories of unsung heroes? 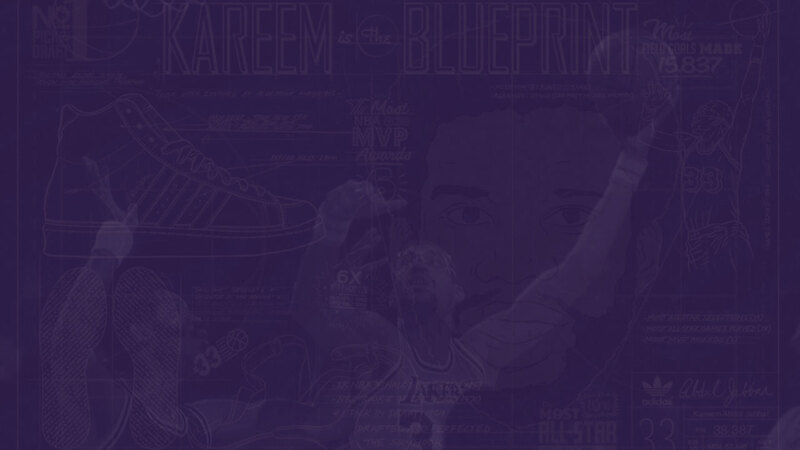 KAJ: When I was seventeen, I worked in a mentoring program in Harlem designed to improve the community. That’s when I first gained an appreciation of the Harlem Renaissance, a time when African-Americans rose to prominence in American culture. For the first time, they were taken seriously as artists, musicians, writers, athletes, and as political thinkers. The talent was always there, but it had been hidden under the oppression of social bias. Thomas Jefferson said, “The price of freedom is eternal vigilance.” That means we have to constantly be on our guard against prejudice because it restricts everyone’s freedom, even those with the bias. My book is just one step in that eternal vigilance: by setting the record straight, we encourage minority youth to see that they, too, can achieve greatness. JB: You’re a big fan of jazz music, but most kids don’t necessarily think of music connected to STEM and/or requiring STEM skills. How would you explain this connection? KAJ: This may come as a shock to a lot of kids, but music and math are intimately related. Great minds have been discussing the relationship for centuries. Gottfried Wilhelm von Leibniz, who co-discovered calculus, probably explained the relationship best when he said, “Music is the pleasure the human soul experiences from counting without being aware that it is counting.” Music rhythms are mathematical patterns. When you hear a song and your body starts moving with it, your body is doing math. The kids in their parents’ garage practicing to be in a band may not realize it, but they’re also practicing math. January 18, 2012. 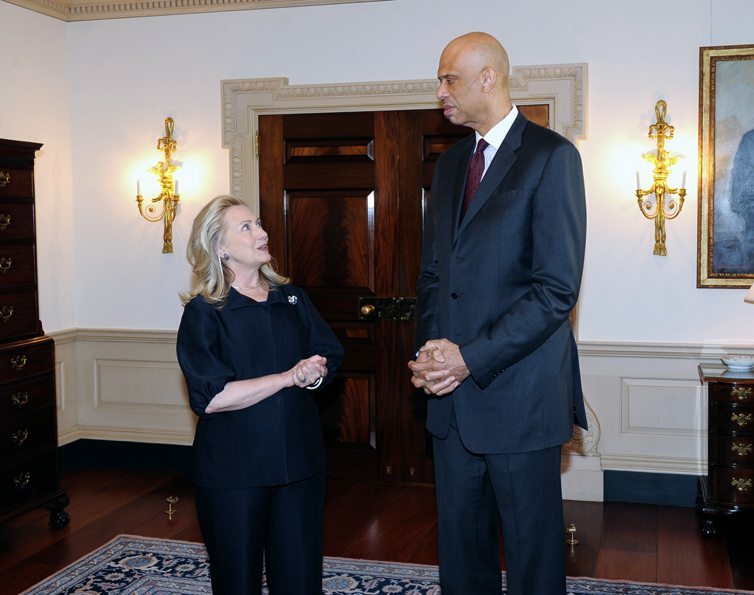 Ambassador Abdul-Jabbar met with Secretary Clinton to discuss his role as a Global Cultural Ambassador. Photo courtesy of US State Department. JB: Secretary of State Hillary Clinton recently appointed you a Global Cultural Ambassador, what do you consider your greatest responsibility to be in this role? KAJ: To give hope. I meet with people all over the world, many of them children with limited economic opportunities. By explaining to them how the United States works to give all its citizens the opportunity to succeed and pursue their dreams, I’m offering a realistic blueprint for success. I don’t say we’re perfect, but what makes this country so amazing is that we strive for perfection. We actively seek out our faults and try to change them. JB: For a woman, I’m pretty tall, almost 5’10”, but I’m still almost two feet shorter than you! My point is that it is so important to remember that we all experience the world from different points of view. What’s a new perspective you’ve been exposed to since the release of your book that surprised you and shifted your thinking? KAJ: Well, if you drop down a few more feet, you’ll have the new perspective that most surprised me. Since the release of my book, I’ve been visiting various elementary, middle, and high schools to discuss the overlooked inventors. As a result, I’ve had so many kids come right up to me and tell me how they’d never before thought they could be a scientist or inventor, but now they do. Even though that was my intention, actually seeing the world from their perspective—suddenly illuminated with new possibilities—is exciting and humbling. JB: If you could put any two inventors in a room, living or dead, who would they be and what ‘problem’ would you task them to solve? KAJ: I think that Lewis Latimer and Granville woods would be able to have some interesting ideas with regards to finding new sources of renewable energy. Latimer worked for edison and was responsible for making the light bulb practical, so he would be able to turn scientific theory into practical use. Woods, known as the “Black Edison,” was a self-taught genius who wouldn’t stop until he’d solved the problem. Maybe I’d also bring in Henry Sampson, who discovered how to turn radiation into electricity. He’d probably have some practical ideas about turning solar radiation into energy. JB: If you could travel back in time, what year would you go to and why? KAJ: It would require using all my frequent time-traveling miles, but I’d go back 3,500 years to Egypt’s golden age. At a time when Rome and Greece were in their infancies, Egypt was the intellectualand cultural center of the world. Women at that time had major roles in society, with legal rights that would take the rest of the world thousands of years to catch up. Some places still haven’t caught up. JB: You’ve lived an extraordinary life and it almost feels like you’re just getting started! If you could come back a person, thing, or animal what would it be? KAJ: I would enjoy returning as one of the first people that encountered the Mayan and Incan nations when they were strong and able to rule effectively. The Incan culture lasted less than two hundred years, until the Spanish invaders conquered them. The mayan empire lasted more than a thousand years, creating a hieroglyphic writing system, accurate calendars, mathematical systems, and building pyramids. Named “History’s Greatest Basketball Player” by TIME Magazine, Kareem Abdul-Jabbar stays close to his roots. Photo courtesy of Deborah Morales. JB: What do you consider your biggest accomplishment in life? KAJ: My biggest accomplishment has been making a transition from athlete to author. In some ways, being an athlete was easier because I’d been doing it since I was a child. I became immediately successful and suddenly everyone knew who I was and appreciated me for my athletic ability. It’s difficult for the public to change their perspective of you. They see me as an athlete and so when I open my mouth they want me to speak about sports. And I love doing that. But I also love writing books, particularly about historical events or periods. Basically, I’m going from being an entertainer to an educator and it’s hard for some people used to seeing you slamming a ball through a hoop to also see you discussing the Harlem Renaissance and unknown black inventors. What’s interesting to me is how younger children are able to accept me as both. They appreciate what I’ve done on the court in the past, but they also appreciate what I’m doing right now. JB: I read that the slam-dunk was banned from college basketball from 1968 to 1976 mainly because of how often you used that shot to score! In your opinion, is there one rule, law or social misconception holding our children back from their own slam-dunks? KAJ: The biggest misconception holding back youth, especially those from disadvantaged communities, is that they are going to be the next Lebron or Jay-Z. It’s fine to fantasize, and it’s great to dream big, but the media has convinced kids that anyone can be anything, if they just keep the dream alive. That’s a dangerous lesson because it prevents kids from seeing the world realistically. It’s like encouraging kids to spend all their money on lottery tickets. They are better off if they have a lot of opportunities to choose from, not just sports or entertainment. And they will have those additional opportunities if we continue to emphasize education, especially in Stem classes.